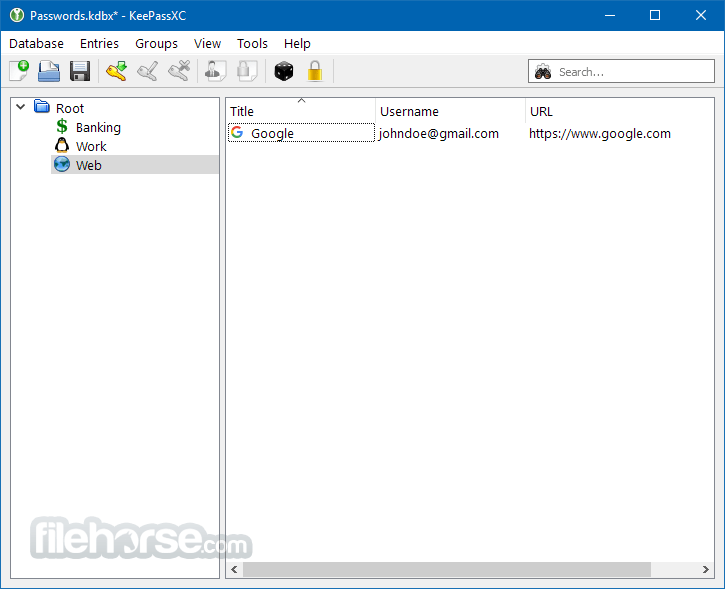 KeePassXC 64bit can store your passwords safely and auto-type them into your everyday websites and applications. You shouldn't waste your time trying to remember and type your passwords. The thing computers can do best is storing information! 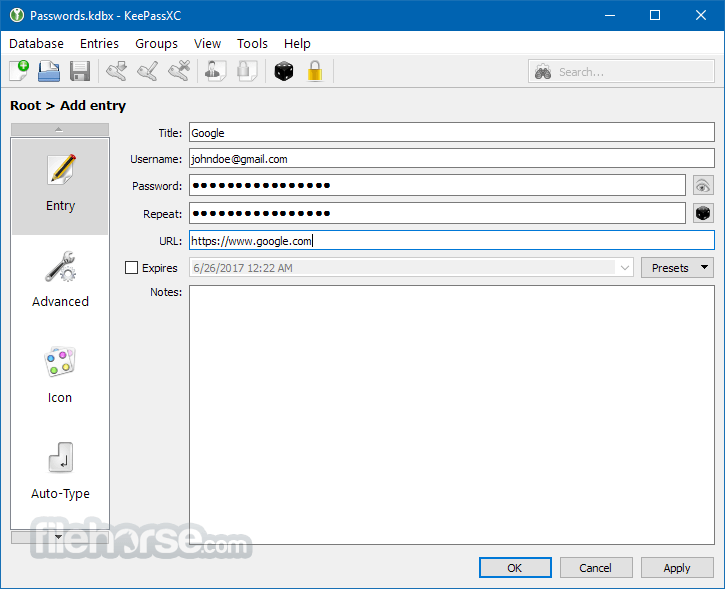 Download KeePass Cross-Platform Community Edition now! 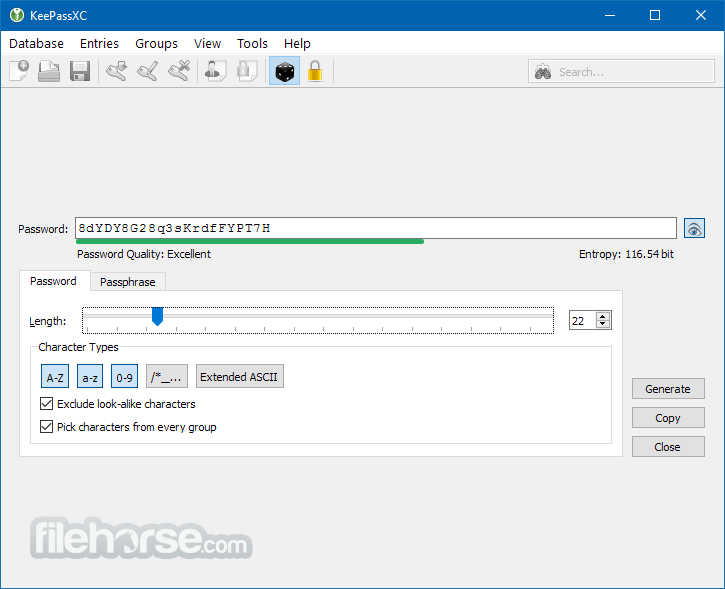 KeePassXC for Desktop 64-bit is a community fork of KeePassX, the cross-platform port of KeePass for Windows. Every feature works cross-platform and was thoroughly tested on multiple systems to provide users with the same look and feel on every supported operating system. This includes the beloved Auto-Type feature.